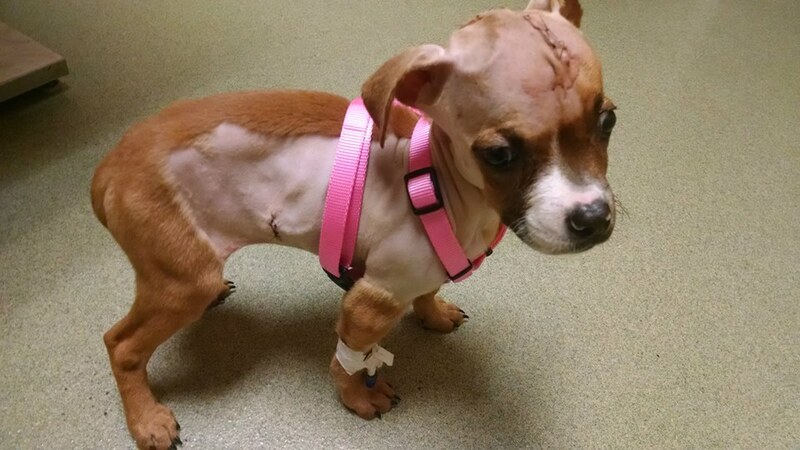 From once a pound puppy left behind by other Rescues, Bella now has a chance of a life time thanks to Ginger's Fund. Not knowing what tomorrow hold's for this sweet baby, we will do our best to make each day special..
Bella was born with hydrocephalus (fluid on the brain) and thanks to "Ginger's Fund" , your donation and prayers , Bella has a chance at a great and happy life. The dedication and hard work by this organization is heartwarming. They have helped so many dogs achieve a quality life through their rescue efforts. Ginger's Fund rules! Baby Bella we're all pullin' for you sweetness! <3 Lubs from da pack!